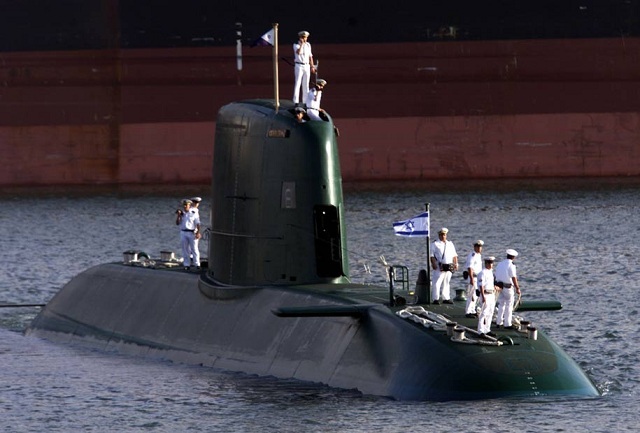 Israeli Navy already operates three Type 800 Dolphin class diesel-electric submarine based on the German 209 class submarine design (Dolphin commissioned in 1999, Leviathan in commissioned 2000, Tekumah commissioned in 2000). In 2006 Israel signed a contract with Thyssen Krupp Marine Systems (TKMS) to purchase two additional submarines from its HDW subsidiary. The two new boats are an upgraded version of the older Dolphins, featuring an AIP (Air-Independent Propulsion) system, similar to the one used on German Type 212 submarines. One of the three "First Generation" Dolphin class Submarine (SSK) currently in service in the Israeli Navy. The 3 new submarines will be enhanced with AIP system among other new technologies. An AIP system allows a submarine to operate without the need to surface or use a snorkel to access atmospheric oxygen therefore increasing diesel-electric submarines stealth and endurance. AIP offers diesel-electric submarines a remarkable increase in capability. The new Israeli submarines are to be nammed Tannin and Rahav. Tannin is to be delivered this year. Israeli Navy had an option for a third unit. Israel and Germany signed a contract a few weeks ago finalizing the sale of this sixth Dolphin class submarine to the Israel Navy, according to a report in The Jerusalem Post.